Product categories of Women's CZ Copper Bracelet, we are specialized manufacturers from China, Women'S Cz Copper Bracelet, Zircon Cz Copper Bracelet suppliers/factory, wholesale high-quality products of Adjustable Cz Copper Bracelet R & D and manufacturing, we have the perfect after-sales service and technical support. Look forward to your cooperation! The JMY women's CZ copper bracelet collection is made of high quality cooper chain and CZ charms. The cooper chain usually can be plated to the color of gold, silver, rose gold and black. The charms are usually inlaid with CZ. The CZ cooper bracelet also can inlaid with full CZ. These are high quality materials and we produce it with the professional technology. We accept customization, so that you can tell me your requirements or send me the design diagram, we can serve you the best items. 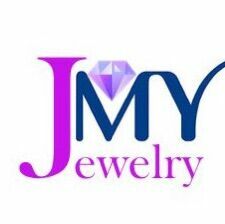 JMY collection represents serve you the best products you want.